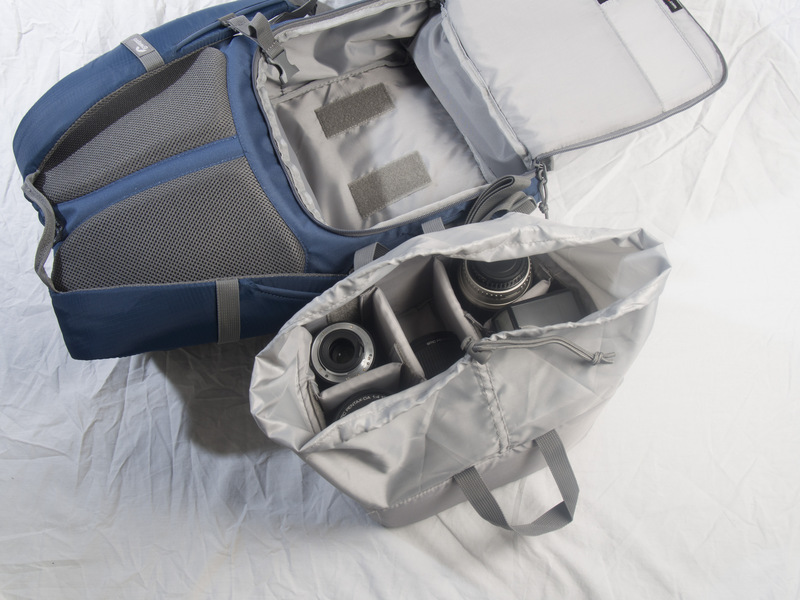 We review the Lowepro Photo Hatchback 22L AW medium sized rucksack style bag with a tablet and drink pockets, plus a removable camera compartment. 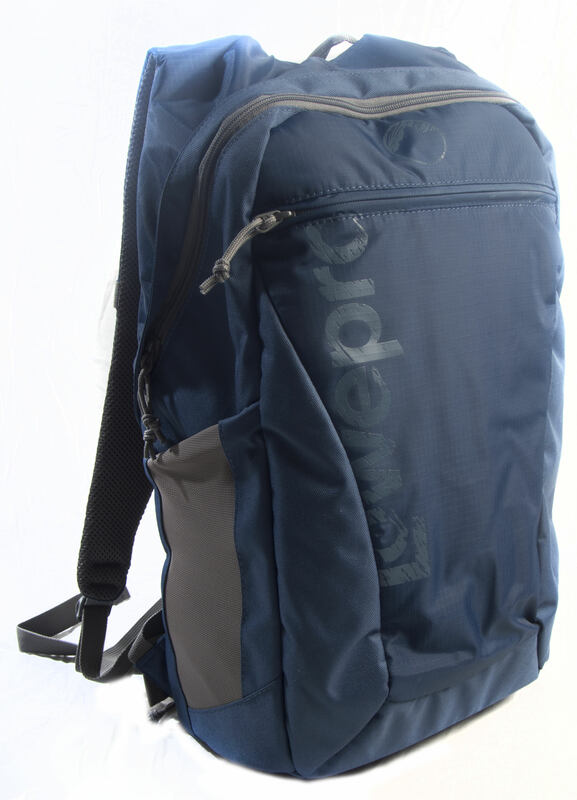 The Lowepro Photo Hatchback 22L AW is a camera carrying rucksack that doubles up as a daypack, making it a consideration for photographers who are also active walkers. 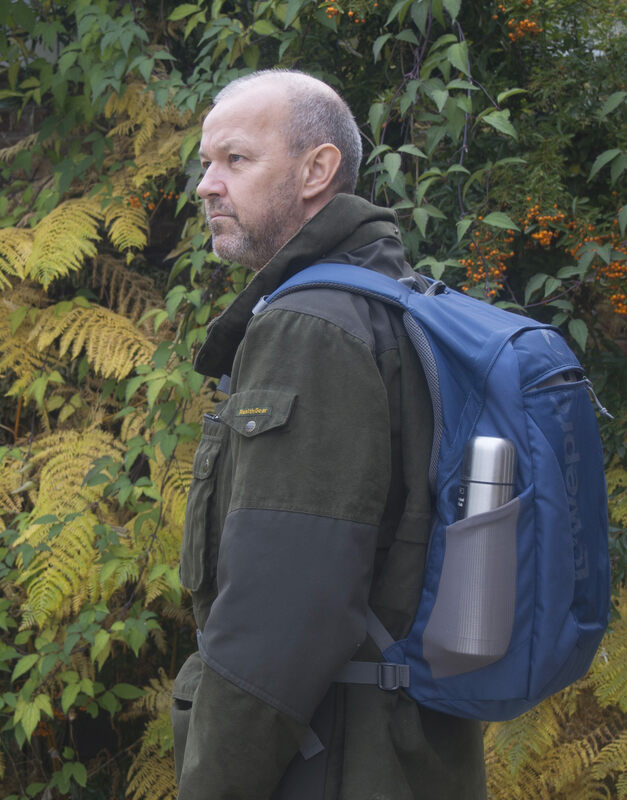 It's light weight and has room to hold a flask or drink bottle, and includes a large padded front pocket for a modern tablet or small laptop/netbook. 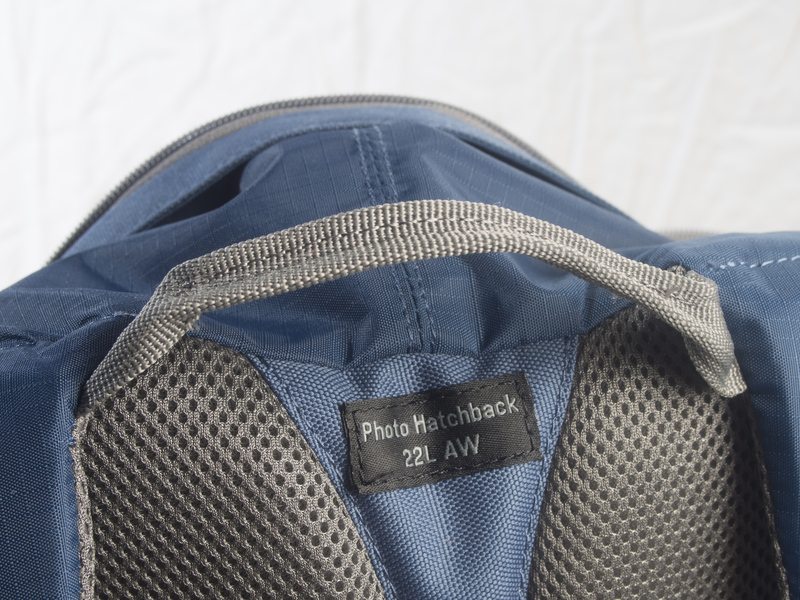 At just 1kg, the Photo Hatchback 22L AW, is very light, unlike some bags that weigh a lot even before you add your camera equipment. It's a no frills design so the waist belt is just thick enough to stop the bag swinging rather than adding extra padding or support, internal compartments are thinner to reduce weight and give more space and the outer material is lighter and feels less robust than many. 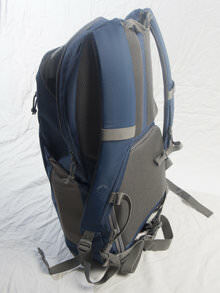 The shoulder straps can be adjusted and there's a chest strap to hold them in place. There's also a thin unpadded carry handle. The top section has a thin Velcro divider from the base that can be removed so the bag has height from base to top. This could be useful if you're a bird spotter and have a scope that you want to carry, or someone with a long telephoto 400-500mm f/4 etc. For walkers it could be filled with spare / extra clothing. 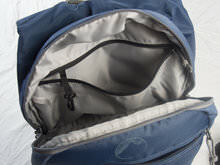 The top compartment has two front netted pockets and a rear zipped pocket for valuables. Inside is a clip so a wallet or keys can be attached for extra security. 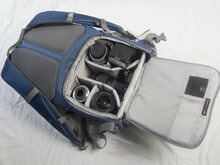 The bottom section is where the camera kit goes and is accessed, unusually, from the body side of the bag. The compartment has Velcro to the back and can be removed with the kit inside. 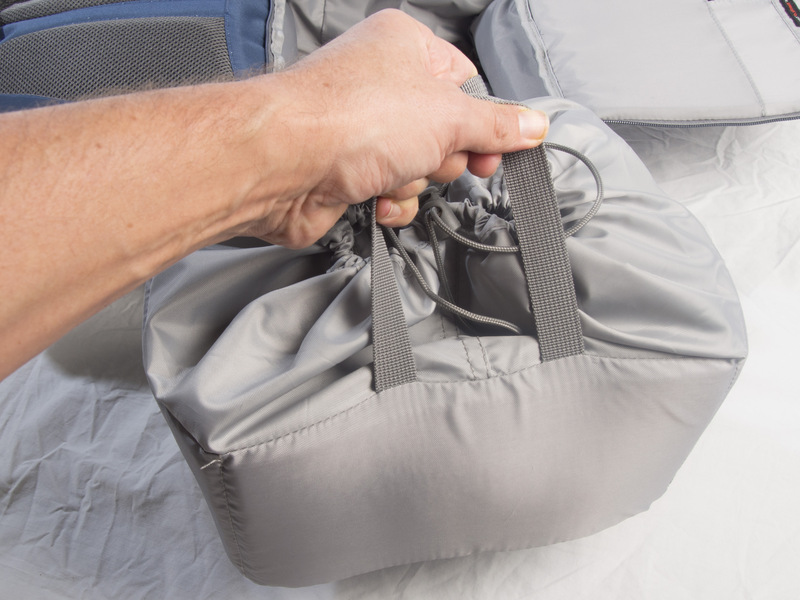 It has carry handles and a draw string cover so you can be using the bag for photography one day and then whip out the camera kit and use it as a daysack another day. This box has dividers so a camera with two or three lenses plus flashgun can be housed comfortably. 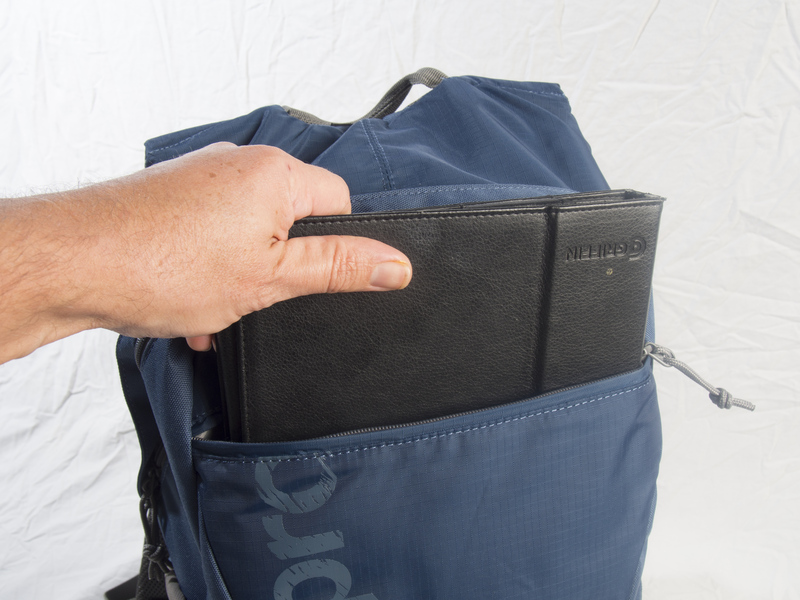 The bag has a padded front pocket to stash an iPad or similar tablet for those who like to browse the net or need to do some work while out on location. The pocket will also accommodate a smaller laptop or netbook. Elasticated net pockets at each side provide space for items such as a mini tripod and water bottle / flask. And a base pocket houses a thin weatherproof cover that can be removed and wrapped over the bag when it rains or snows. The light weight really does make the bag comfortable to carry. 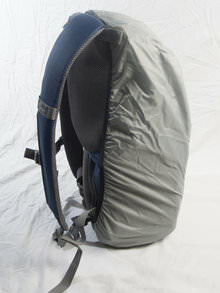 It's padded on the back and straps where it's needed while other areas are thinner to reduce weight. 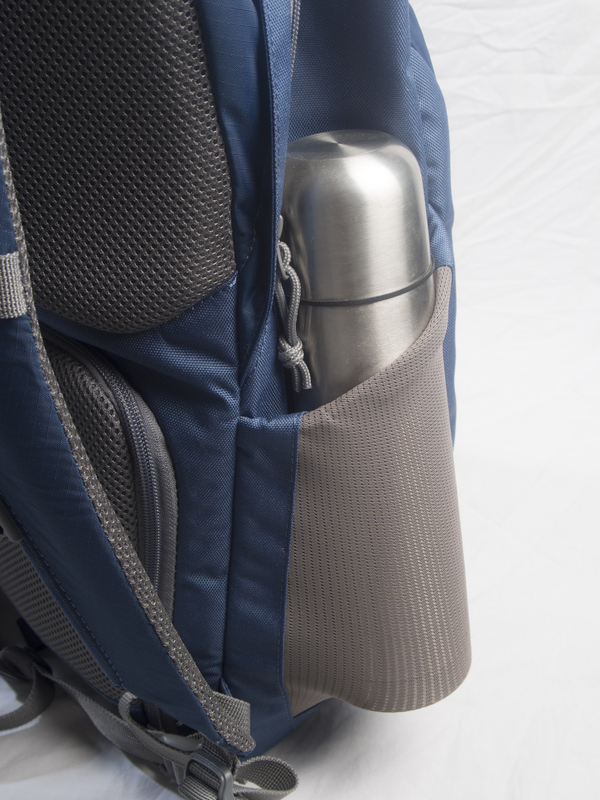 This also means it's a bit more flexible and bends to your back when carrying. 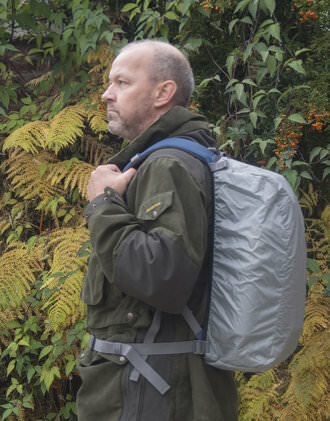 The thin waist strap can dig in unlike the typical padded type of the more serious camera rucksacks, but this is only a problem if you're wearing thin layers. You could leave it unconnected if it's an issue. It comfortably holds a Pentax K5, 80-320mm, 12-24mm, 100mm macro, Sunpak flashgun (similar size to Speedlite) and at a squeeze I could manage another lens by standing the 80-320mm upright. The camera box is a neat idea. 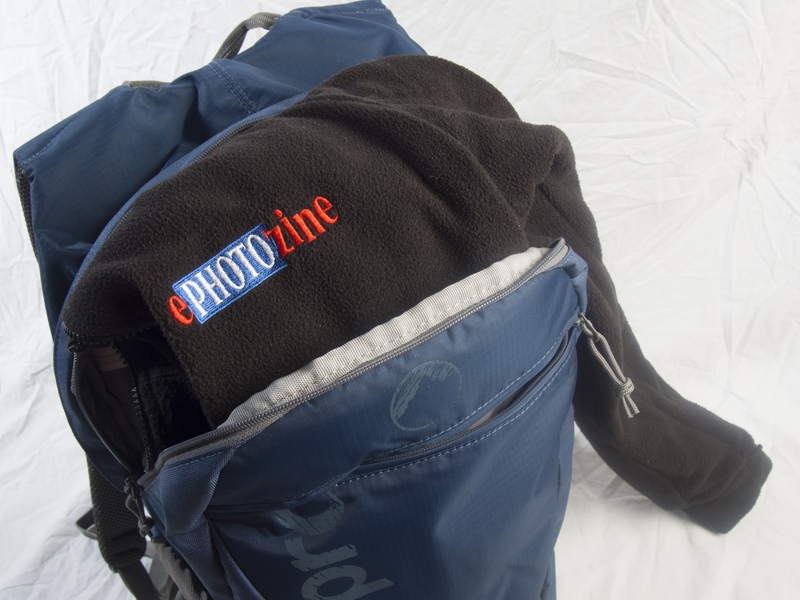 There are many times when you might like to pull out the camera contents and use the bag for a weekend getaway. It might be a good idea to sell a second box for the top section so the whole bag could be utilised. And a stage further have the two join and open out so a long lens could be added and padded. That may be feature creep but an interesting development/alternative for wildlife and sports photographers. The back access is unusual for a bag, but makes sense. No one can pinch anything from that expensive compartment if you're in a crowded location with it on your back. Also when you put it down to access your camera you're laying it on the front and not the part that normally comes in contact with your body. 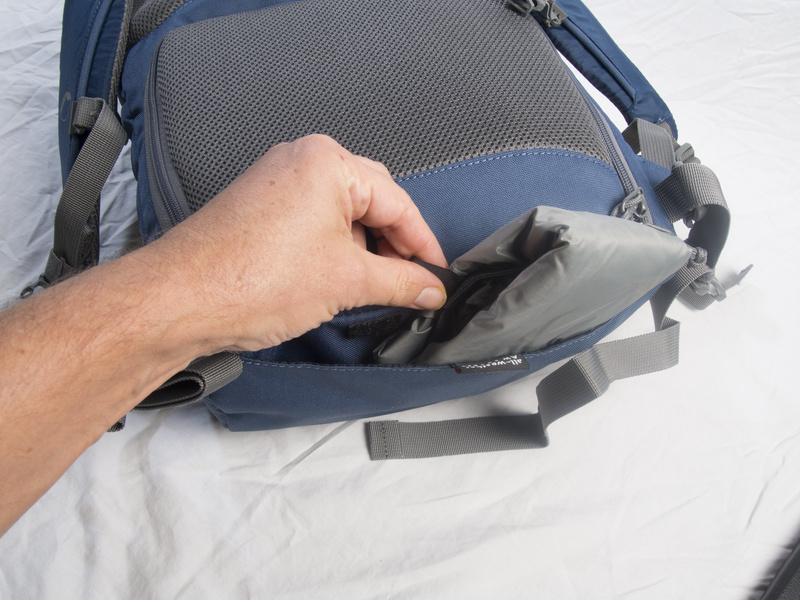 If the surface is wet you usually end up putting the bag back on your back wet. This way it's nice and dry. The down side is it's not easy to access while on the go. With the conventional front access you can swing it round and access the kit. 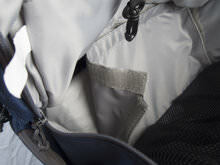 And a real bonus is the front pocket which, as well as holding a tablet, is also large enough to hold a magazine. So if you intend travelling on public transport and want to read you can pull out a magazine. Most bags of this size cannot accommodate an unfolded magazine. This bag is good value at £100 but it has plenty of competition including the Lowepro Slingshot 302 AW, This single strap sling style bag is available for £94.95. The Tamrac 3385 Aero Speed backpack is a double strap rucksack that sells for £85 and you can buy a larger capacity Kata 3N1 - 30 DL for £105. Also have a look at our complete guide to camera bags for more ideas of what's available. The big selling point for the 22L AW is its combination of light weight and flexible design. It's ideal for a photographer with a smaller kit who doesn't require the advanced features of a more expensive model with tripod holder, padded waist strap, better padded compartments and adjustable harness. The camera box is a neat idea and the space for netbook adds to the versatility. 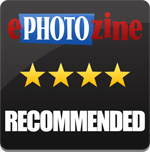 I think I may have found the solution to day trips with photography on the menu. The big selling point for the 22L AW is its combination of light weight and flexible design. If I want to use it to carry 2 mirrorless cameras (Lumix GXs models) and 4 lenses. Also 1 tripod and a tablet. Is this bag able to load up all these gadget?